You know how the saying goes that the best things in life are free? Well, I beg to differ. 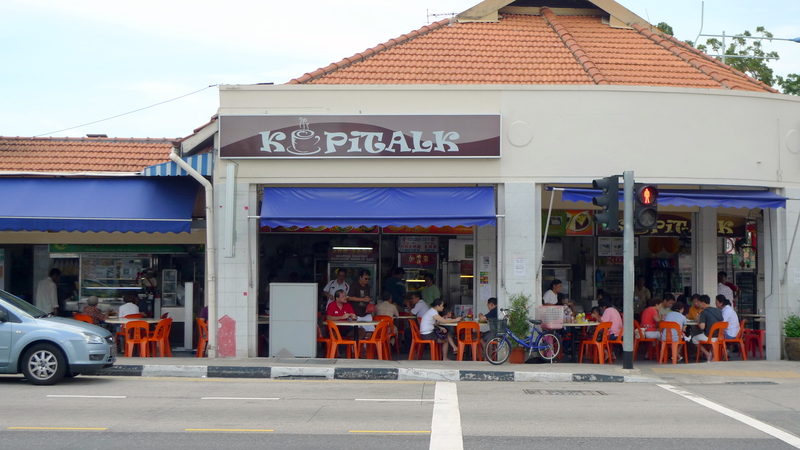 The guy who said that probably hasn’t tried the Katong Laksa or Carrot Cake at Kopitalk, a small humble coffeeshop located at the junction between Changi Road and Telok Kurau Road. You can call me lucky, but I have been living just a stone’s throw away(literally) from here for the past 15 years, depending on the Laksa and Carrot Cake here for sustenance on occasion. Kudos to my dad in doing such a fine job of purchasing a domicile in such an ideal location! Having undergone a recent renovation, most of it’s previous stalls still reside within Kopitalk, with the exception of the Zi Char stall which has now been taken over by Rajah’s Curry, a seemingly famous Indian stall plastered with the numerous articles featuring it but we shall cover more of that on another day. We must focus on today’s mission, the carrot cake and laksa! Various food shows have rated Golden City Carrot Cake as the best carrot cake stall in Singapore and that is despite a slight fall in standards(from perhaps 10 years ago) after the uncle running the stall passed on. When I was there today, his son had taken over the family trade with his mum standing by. 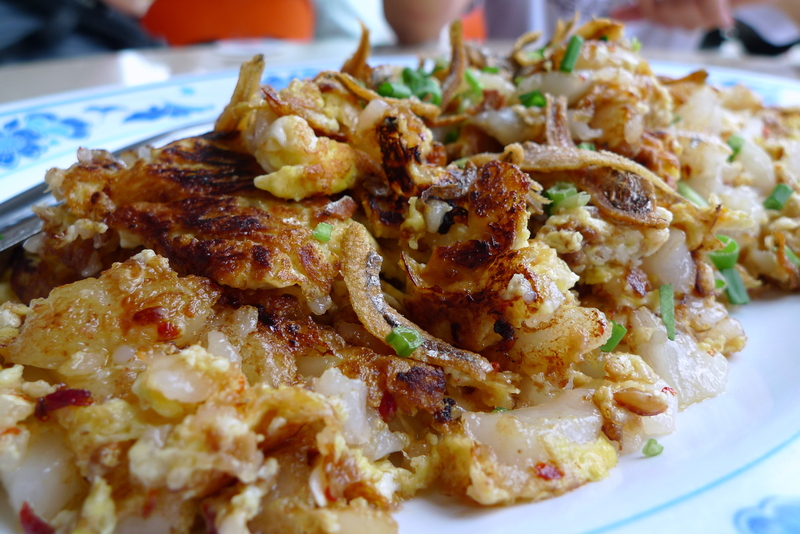 The most notable difference between this carrot cake and others is that lots of chye poh(preserved radish) and ikan bilis are fried in the carrot cake which enhances both the taste and smell. They do serve black carrot cake too but it’s not as popular as the white ones. Die die must try! 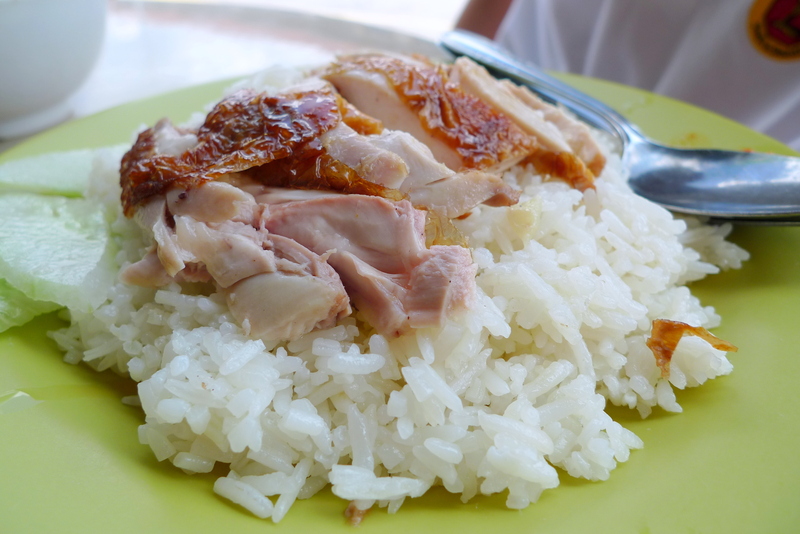 There is also a chicken rice stall within Kopitalk and what it dishes up is pretty average. If you do patronise it, stick to the white chicken instead of the roasted ones. So now we know, the best things in life actually come at an unostentatious charge of between $3-$5. learn to cook it yourself! 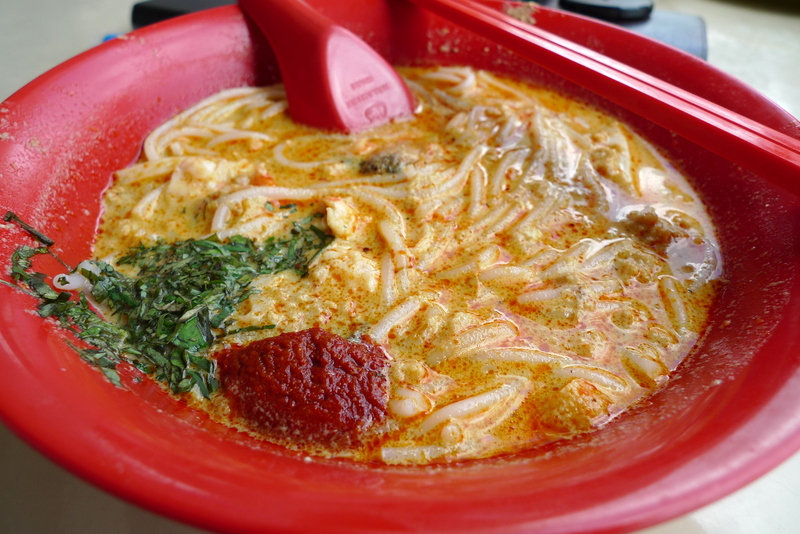 actually i think quite easy, if u have the laksa paste. anw i think i travelling to sydney in june with kane, timon and 2 others. haha maybe can visit uni of sydney find u.